A is for Aston Martin, The most popular car for grooms. It creates an impressive entrance and ultra stylish exit. B is for Bentley, The highly prestigious wedding car. Both perfect for a groom and bridal car. C is for Chauffeur, To make you feel special and looked after on your big day. 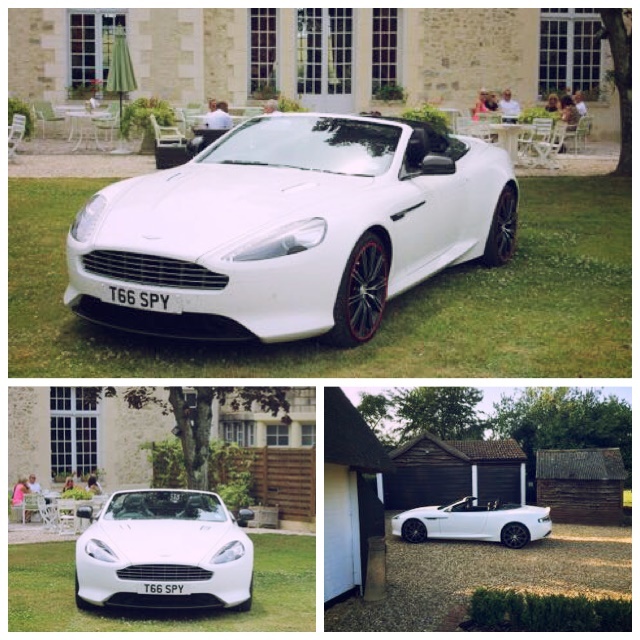 D is for DB9, Our preferred Aston Martin, making the groom as suave and sophisticated as Mr 007 himself. E is for Elegant, Which is how the bride will look and feel when stepping out of her stunning wedding car on her big day. F is for Ferrari, The perfect stallion to modernise the traditional horse and carriage. This is a great grooms car. G is for Gallardo, The wonderful masterpiece of Lamborghini that would look amazing in your photographs. H is for Helen, Our friendly and experienced customer liaison. She can talk you though all options to help choose your dream wedding car. Do not hesitate to call her on 07800589792. I is for Impressed, As this is what your guests will be, when they see you arriving on your big day in an amazing wedding car. J is for Jaguar, A perfect wedding car for a bride or a groom. The stylish champagne coloured Jaguar XJ8 is a beautiful wedding car. L is for Lamborghini, A super car to transport the groom to the wedding venue. M is for Marriage, A very special day, that requires a very special car. N is for Nostalgia, Look back on your wedding photographs with delight for your entrance in a stunningly beautiful car, chauffeured by Special Day Cars. O is for Original, Have something a little different and add a personal touch to your day. Swap a Rolls Royce for an Aston Martin or hire a Ferrari. P is for Porsche, Our 911 turbo is a great super car for a groom with the renowned Porsche status. Q is for Quality, All of our cars are of a high quality, we also pride ourselves on quality customer service. R is for Reality, We can bring your wedding car dreams to life , your wedding day is your chance to be chauffeur driven in your dream car. S is for Silver Cloud, Our most popular vintage car for weddings. T is for Transport For Weddings, Special Day Cars have a huge selection of fascinating cars for your wedding day. U is for Unique, With an array of cars available you can make your special day unique. A wedding day to be remembered for you and your guests forever. V is V8, The remarkable engine in our Aston Martin Vantage. You will look and feel stylish and proud in this wedding car. W is for Wedding Car Hire, We can provide this with a chauffeur all over the UK, so call now to make an enquiry on 07800589792. X is for XJ8, Our chauffeur driven champagne coloured Jaguar . This is an ideal car for brides and bridesmaids. Or groom and bestman. Y is for YOU, You are the most important person on your big day, we will take every length to make sure you can enjoy and relax on your big day. Z is for ZZzzzz, You can sleep easy knowing that you will be travelling in comfort and care on your big day once you have booked your wedding cars with Special Day Cars.